When implementing a centralized dispatch model, natural communication synergies take place. When it comes to fleet dispatch, two basic competencies are key to customer satisfaction: the ability to provide your customers an accurate planned arrival time ahead of deliveries, and then following through on that commitment with an accurate, on-time delivery. At one time, connecting the two was relatively simple. Doing so was merely a function of inventory status and truck and driver availability. Modern dispatch is much more complicated. Considerations such as driver logs, vendor management, warehousing, fuel cost, and routing/mapping through a dynamic network of roadways call for proactive fleet management utilizing algorithms that consider historical driving conditions as well as real-time visibility into trucks on the road. Many companies practice site-based dispatch, where individual locations provide guidance to their fleet within a relatively immediate vicinity. This decentralized dispatch model may be considered by some to be more agile, as a dispatcher is able to work with a limited number of trucks in a localized area. Communication and technology were limiting factors that required that some fleets allocate dispatch responsibilities to numerous smaller locations in this decentralized fashion. But as is often the case, the challenges and limitations of yesterday are often nullified with improved resources. In the case of fleet dispatch, issues of locale, network knowledge, and asset utilization are minimized with a capable, intuitive, centralized, cloud-based dispatching solution. A centralized dispatch model offers numerous benefits. One study performed at Vancouver’s Segal Graduate School of Business, Simon Fraser University, uncovered five benefits of such a dispatch model. When dispatch functions are brought into a common location, natural communication synergies take place. Distributed across multiple locations, dispatchers lose the valuable ad hoc exchanges that sometimes inform dynamic routing decisions. More formally, when dispatch is centralized, there is no longer a question as to the location of a particular record, map, or resource. Knowledge transfer, both formal and informal, both electronic and analog, takes place in a single environment. It is easy to establish streamlined protocols and to follow up once established. Adding to the streamlining of single-site knowledge transfer is that of a cloud-based dispatch solution. With such a solution, knowledge transfer is performed electronically, and the streamlined information is available immediately, even beyond the dispatch site. Managing an entire fleet from a single, cloud-based, dispatch software interface allows dispatchers to compare driver schedules and make changes to maximize the overall efficiencies of a fleet. When dispatch duties are scattered across multiple locations, it can become challenging to consolidate training processes. Differences in focus, deliverables, and behaviors can arise as a result of varied emphases that are somewhat unavoidable when training occurs across varied locations. Centralized dispatch consolidates the training process, allowing for the communication of a focused message across all trainings. In addition, when training using a centralized dispatch model, companies can save money, needing only to invest in a single trainer. Training resources are also minimized and common across all training sessions, and deviation from the standard training is curtailed significantly. Ultimately, standardized dispatch training that occurs at a centralized location decreases the complexity of the training function while eliminating superfluous activities. The primary benefit of centralized dispatch is simple standardization. This is particularly important as fleet management companies grow in size and functional ability. 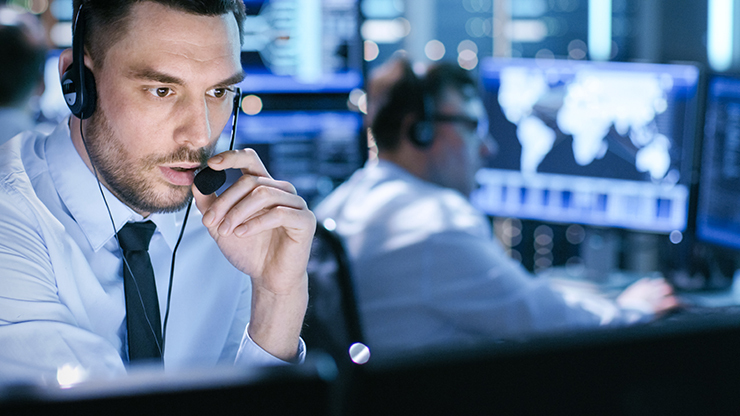 When dispatch duties are distributed across various locations, disparate influences can arise in isolation, impacting key dispatch processes at individual dispatch sites. By centralizing dispatch duties, fleet management companies can determine and implement best practices from a single site with no concern that local, untested behaviors will negatively impact research-based practices. Standardized dispatch metrics mean the same thing across the company and are not subject to error-prone, local interpretation. The pursuit of standardization becomes even more beneficial when using a cloud-based dispatch platform. Dispatch practices can be easily integrated into a larger battery of organizational procedures when dispatch information is saved to the cloud. Processes may be archived and utilized to inform decisions in other departments and other sections of the larger supply chain. These archives may be stored safely and securely while remaining readily accessible to all stakeholders across the fleet. The safe, reliable archival of dispatch records is essential to future fleet dispatch improvements. “It is critical that competent backups [provide] an appropriate level of dispatch service that optimizes fleet control.” The adage that history informs the future is particularly true in a dispatch environment, where real-life experiences on the road determine the best decisions for future drivers. Backups containing experiential data that is stored as part of a cloud-based dispatch solution make insights garnered over days, weeks and years readily available to all company stakeholders as they maintain the integrity of essential data. Dispatch functions may be centralized around areas in which the talent pool is deep, allowing companies to hire strong candidates for their dispatch roles. In addition, companies can enjoy more meaningful employee tenures when the dispatching function is situated in a single location that eliminates the need for relocation. Considerations such as available technologies, infrastructure, and the presence of strong educational/training institutions may be important considerations in landing on a dispatch site. When dispatch duties are centralized, managers can make the decision on location once and be done, rather than having to “make it happen” at numerous, potentially subpar, locations. PDI logistics solutions offer map-based planning, allowing dispatchers to see all sites in the area of interest and to make routing decisions based on truck/driver proximity. This makes location information accessible to all, allowing companies to hire newcomers to the industry as well as industry veterans. Interested in expanding your operations in a new country or area? With PDI logistics solutions, you won’t need to change or add locations. And if the new country/area has unique, local regulations, PDI logistics solutions can be adjusted to any area-specific legislation. You can sit at your desk in the Frankfurt office and plan for the company’s trucks in Luxembourg; then, plan for the fleet base in Hamburg. PDI logistics solutions are cloud-based fleet management applications that provide real-time location tracking of a fleet on a vehicle-by-vehicle basis, using a customized, web-based portal. When you’re ready to standardize processes, improve human resources from the talent pool to the training room, and retain and transfer knowledge and data safely, securely and seamlessly, contact us about PDI logistics solutions.